Atari VCS - The 300 dollars of nostalgia. Between tradition and modernity, Atari VCS has just launched its crowdfunding campaign on Indiegogo. Against all odds, the public is at the rendezvous, despite a sale price of 300 dollars. 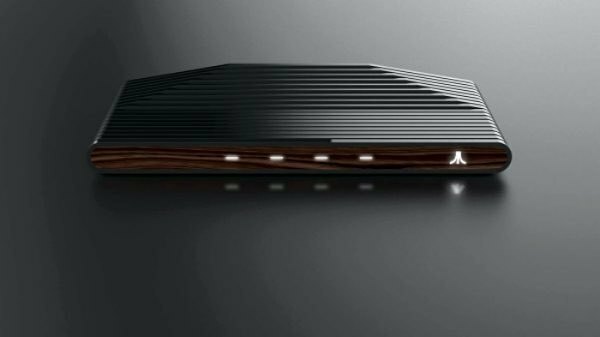 Launched on May 30, the Atari VCS Indiegogo campaign reached in two days 2,255% of its original target of $ 100,000, at the time of writing this article at $ 2,255,003. What is clearly a disguised pre-order campaign is a great success, even if it costs $ 299 to reserve his copy machine "collector", proposing an imitation wood on the front of the chassis. The Onyx version is offered for $ 229 with a controller. The one that until recently was called "Atari Box" should be available in July 2019 and is still a bridge between the video game of yesteryear and modern digital entertainment. 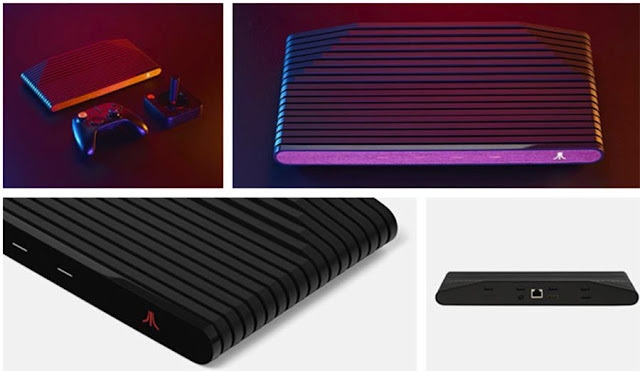 Embedded with an AMD Bristol Ridge A10 processor, a Radeon R7 graphics card, 4 GB of RAM in DDR4 and 32 GB of storage in eMMC format, the Atari VCS will host a hundred retro games from the arcade and catalog of the Atari 2600 released in 1977, but also the "latest PC titles and independent modern". A beautiful promise that still lacks concrete since no name has been given. On the Indiegogo page of the console, Atari needs to work with studios like Petroglyph (real-time strategy specialist), Playmagic (who has never been out of the game yet),Adventure Time ) or Eden Games. The latter, based in France and formerly owned by Atari, notably created the series of V-Rally or Test Drive Unlimited , before being put in bankruptcy, then come back from the dead in 2013 under the impetus of former employees. The connectivity of the Atari VCS is quite complete: 4 USB ports, an HDMI output, an Ethernet port, a microSD card reader. Also note that two types of controllers will be proposed: a joystick "old-fashioned" taking the look of the Atari 2600, and therefore especially suitable for retro games, and a much more modern controller, inspired by from what is found at Microsoft. The latter is sold separately and can be purchased for $ 49. The additional retro joystick is trading at $ 29. The pack Joystick retro + modern joystick is proposed at 59 $. Let's make a quick calculation: a collector's edition of the Atari VCS + a modern pad + an additional retro controller to play two will cost you $ 358. A price high enough for a console, certainly very pretty, but whose catalog remains for the moment very mysterious. In addition to retro titles, most of which have aged badly, it will be very interesting to discover the independent games that will be offered on this system. For the moment, the Atari VCS seems to be a clever mix between a Steam Machine and an Ouya, which is not reassuring about its future.